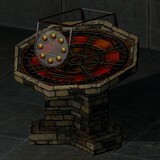 Guild of Writers • View topic - Korman 0.04 Released! After overshooting the original release date by approximately 3 months, Korman 0.04 has arrived! Korman 0.04 represents 51 commits and 2,500 lines of changes from the previous version. The highlighted feature of this release is the ability to add sounds to your Ages and control them with logic nodes. Please note that Korman 0.04 requires Blender 2.77 or higher to work. Remember that as of this release of Korman, the minimum required version of Blender has increased to Blender 2.77 In other words, Blender 2.76 won't work. Fun fact: Korman 0.04 is 7,978 lines of code. Thx both for all your hard work. Recently i installed the latest Korman into the new Blender. For the first time i managed it to slowly import one of my unreleased ages. Yes slowly litteraly, one by one i appended the objects. For me this was the best way to do it, because i had to alter some settings often. I could not oversee it, when i did this all in once. ...and as a final result, it exported perfectly! I have to redo all the logic because the alcscript is not longer used. The animations are handled differently. So stil lots of work before i can show something. I am very happy that i can finaly leave the outdated 2.49b behind me. It seems that Korman does not support mesh modifiers like " subsurf"
You still have to apply those first before exporting. If you don't , it will result in a stack overflow when you load the age. dendwaler wrote: It seems that Korman does not support mesh modifiers like " subsurf"
I think I can shed some light on this. Korman does actually apply Blender modifiers to your meshes for you. However, with modifiers like subsurf, you are increasing the number of vertices in the mesh. Unfortunately, blender vertices are not exactly equivalent to Plasma vertices, so you are almost guaranteed to have more vertices in the exported mesh than in the Blender version. Korman tries to detect when the exported mesh is too big, but sometimes this does not work correctly, and Uru crashes as a result. Plasma supports a theoretical maximum of 65,535 vertices per mesh material (unless you do some serious trickery). There are some assumptions in the MOUL code that make it unable to support past 32,767 vertices per mesh material and it crashes. I believe PyPRP allowed exporting above this amount, so we allow Korman to export up to 65,535 for PotS. However, it might be that PotS suffers from the same limitation that MOUL does, and PyPRP did *something* to make this irrelevant. PyPRP always did make "interesting" PRPs, so I cannot be certain. I think for Korman 0.05, I will cap all mesh materials at 32,767 vertices or implement some code to slice and dice vertex buffers and see if we can avoid the problem. No promises though as I have yet to reproduce this particular bug myself! I can confirm the subsurf issue - if the mesh has slightly too many vertices, it will crash Uru, and Korman won't detect it because (as I understand it) it checks the vertices number before handling UVs and vertex color - which both produce a few duplicates. Usually though, it's better to apply a decimate modifier with a factor < 1 to the object before exporting it. This often fixes the issue. If not, well... Either lower the factor of the modifier, or split your mesh into multiple sub-meshes (which also allow you to control the vertex density - which subsurf doesn't allow). Two links which were related to the issue, if that's interesting to anybody. I seldom use subsurf , but sometimes i use it to see how it looks a bit more " rounded" off. If good i tweak the original. Most of the time i look to my objects " in game " instead of rendered in blender. I do that because of the annoying different perspective. dendwaler wrote: I am very happy that i can finaly leave the outdated 2.49b behind me. I certainly haven't missed it since I switched over. PyPRP (and Blender 2.49b) was good for its time, but Korman, along with the newer Blender 2.74/2.77a, have proven to be much more user-friendly, IMHO. Once a few more things are added and/or refined, it'll match...and in some cases surpass...PyPRP. Sirius wrote: (as I understand it) it checks the vertices number before handling UVs and vertex color - which both produce a few duplicates. I thought so as well too, but it looks to me like that check is happening at the very end. Unless I've forgotten something--it has been a few years since I wrote the mesh converter. Hi first time back in ages. OK Today I just found out about Korman and am anxious to play with it. On the install page in the Wiki under Required Software, Windows it does say it will work on Windows 64 bit instalations. (I do understand this refers to the Windows instalation and not the Blender instalation) I am using multiple flavours of Windows 7. Now I have been working with the 64 bit version of Blender for about a year now and I have a mountain of addon stuff installed that I am using day to day to build huge screen animations for Basketball. To date all of this stuff has been installed and stable running Blender as 64bit. During my hit and miss instalation I eventually figured out I needed to have the 32 bit version installed to get Korman to activate. In an ideal situation double click on a .blend would start my 64 bit version and for when I want to play with Korman I want to manualy select the 32 bit version I have a short cut for both 64 or 32 bit I have tried resetting the default but it just keeps starting the 32 bit version. It is beginning to look like I may have to build a 32 bit option machine to use with Korman. I know its not that big an issue and there may be some sort of work around. 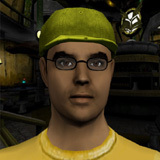 Is it me is there a work around is there any likelyhood of a Blender64 bit version of Korman? (NOTE this is just a question not a demand). From what I gather reading around the 64bit limitation is set because the Uru side is 32bit this is understood What I am asking is there any chance that Blender 64 bit could support the Korman tools and have an addon that would kick out 32bit as an export? I do understand that this may be imposible. I know you have hammered out some tutorials and I know we have to have Ladders somehere down the road in the intererim is there any chance of a tutorial on how to get a ladder animation in Korman by accessing the prp (I do not even know if this makes sense). I do know that my ages have a disproportionate number of ladders but that it makes total sense for me to use Korman considering my familiarity with the latest incarnations of Blender. Last edited by J'Kla on Tue Dec 20, 2016 7:09 am, edited 3 times in total.